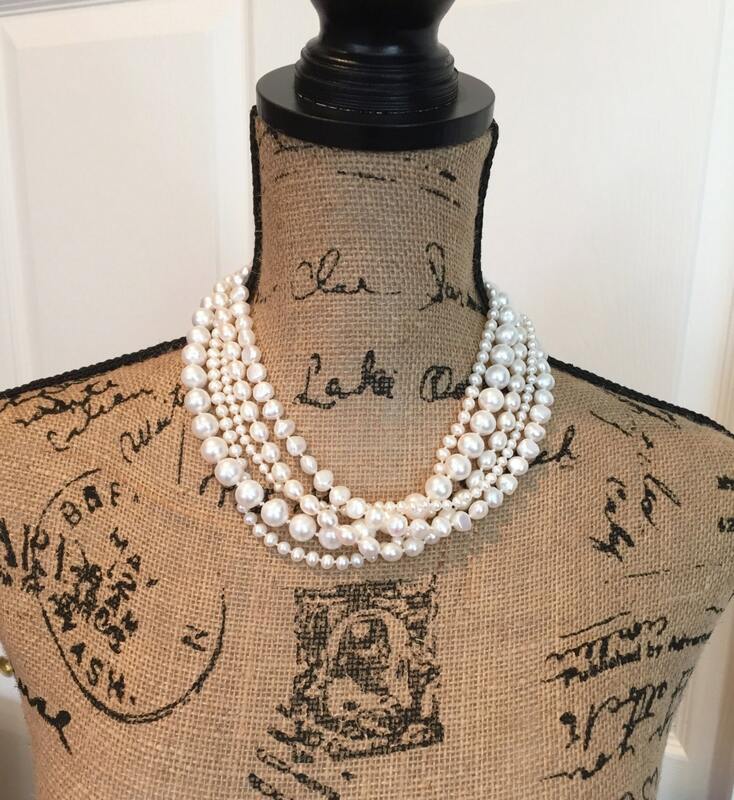 This is not your mother's pearl necklace! 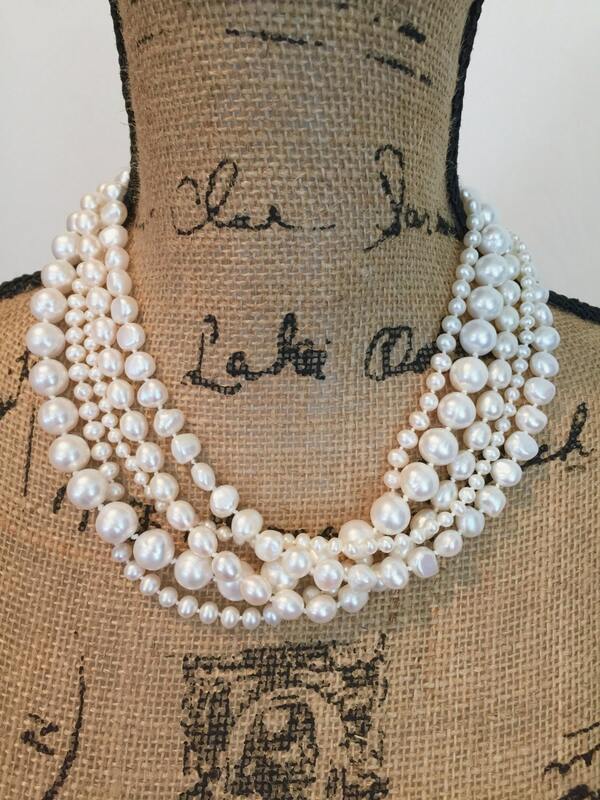 5 strands of beautiful freshwater pearls join together to create a stunning statement on your neck. Wear it with a LBD or with your favorite pair of jeans and a t-shirt. This one is sure to impress even the toughest critics! 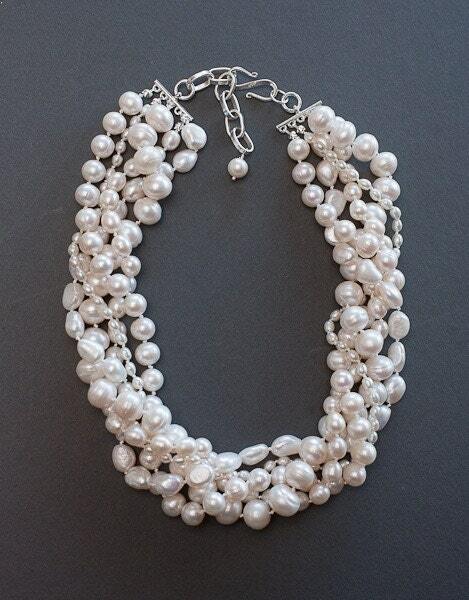 --Pearls range from 4 mm to 11 mm in diameter. No two strands are alike. Pearls may be round, rice, potato, or nugget shaped. Excellent luster and smoothness. 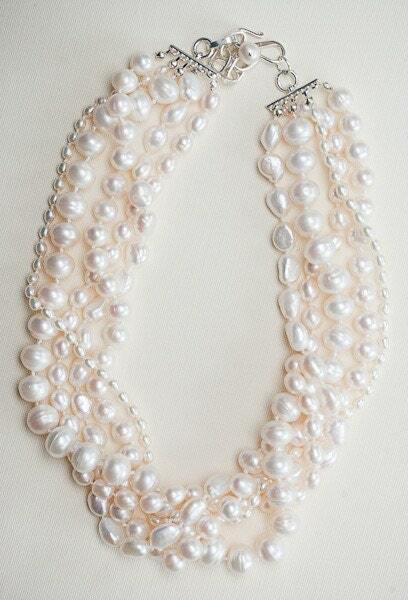 --Pearls strands are all hand knotted on silk thread. --Length is 18" with a generous sterling silver extender. --Sterling silver lobster swivel clasp for ease and security.